When you find yourself purging the house of older or no longer useful gadgets, the challenge arises in figuring out what to do with them next. Online peer-to-peer sales sites can offer a unique opportunity to earn some cash while making your trash someone else’s treasure, but they can be daunting for the newbie. Let’s compare all the options to see which would be a better fit for ease of transaction versus the highest value for your sale. 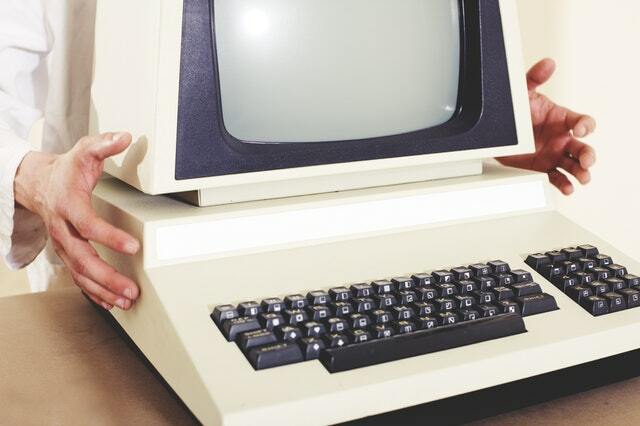 Gazelle offers an easy trade-in for cash for most previous-generation electronics. They purchase smartphones, laptops, desktops, and tablets. Simply enter the information about your product and receive an instant quote. If you’re happy with the offered amount, shipping is free and Gazelle pays you upon receipt of your item via check, Amazon Gift Card or PayPal. You can even receive cash for an item that is no longer functioning. It’s a great option when you want a fast, easy sale with no risk of scam, but you’ll probably receive a pretty low selling price as a result. Decluttr works in a similar way to Gazelle but has the added bonus of taking items such as old DVDs; CDs; and PlayStation, XBox and Nintendo video games, too. The mobile app even allows you to use your phone’s camera to scan the barcodes of items you’d like to sell. They provide you with the shipping label, and they guarantee you’ll get a fair price for your stuff. Your payment can be received through direct deposit, PayPal, or check, or you can choose to donate the money to a charity of your choice. While Craigslist used to be the place to sell your stuff online, Facebook Marketplace has improved this transaction significantly. First, you can use the app right from your mobile phone to browse similar listings like yours, in your local area so you know the prices you’re seeing are relevant. Specify a radius for your search so you can narrow or expand your options. Once you’re ready to create your listing, you can do it with pictures taken directly from your phone. Tap on the “What Are You Listing” field and choose Items for Sale. Fill out the appropriate category, description, and price for your listing and then create it. It can take as little as 60 seconds. Compared to Craigslist, Facebook Marketplace can be safer, too. It’s tied directly to a person’s Facebook account, and while these can be faked, it’s usually easy to spot the bad apples and report them. Mostly, you just find regular people like you who just want to sell their stuff. You don’t have to exchange any personal info, either, as all communication is fostered through Facebook Messenger, which even allows phone calls, without ever exchanging your real phone number. Just make sure to always meet your buyer in a public place to make your exchange. 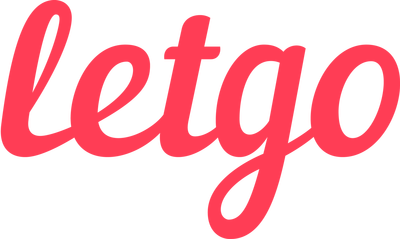 Fairly new to this game of buying and selling, LetGo has become an extremely popular option for buying and selling your stuff. Simply download the application to your mobile device, and create a profile using your Facebook or Google profile. Here, you’ll find more security than selling through Craigslist since all messaging is contained within the app so there’s no need to share your personal information with potential buyers. One of LetGo’s cool features: it sends users a notification if they’ve recently searched for an item, so they’ll be notified when yours goes up for sale. Pretty nifty. When you want to get the widest showing possible and don’t mind shipping your item to someone, eBay is truly the big daddy of the seller’s marketplaces. The advantage of Ebay is a larger pool of buyers, which is potentially handy when you’re trying to sell an item that is damaged or not fully functioning. Parts re-sellers often use eBay to acquire broken phones and break them down for parts. eBay’s obvious disadvantage is that there is a large pool of potential scammers. You’ll need to factor in shipping costs when considering your prices, and be aware you will be contending with PayPal and packing and shipping your item to your buyer when it sells. Let’s say you decide to go with EBay. What happens next? Well, first you’ll need to establish an account as a seller. It’ll be easier to sell your item if you have a well-reviewed account with a history of reputable transactions. Obviously, new sellers in the online sales arena have a little bit of a steep uphill climb at first. You may want to start by listing several items that are not particularly valuable or expensive so you can establish a sales history before posting your more-expensive electronic item. Once you get ready to list an item, you’re given a choice of “auction” or “buy it now.” Auctions reach the largest audience on eBay, particularly if you don’t limit your pool by setting a starting price, but they carry the risk that you’ll get less than market price for the item when the auction closes. When you choose to auction your item, you’re at the mercy of the bidders, who usually wait until the last minutes of the auction to bid in a flurry trying to get the lowest price possible. Statistically, auctions close at right around market value, or at least within a few dollars, but they can be rather stressful for the seller. Most people don’t like the unpredictability of them. Setting a hard “Buy it Now” price will guarantee you get the price you want, but you take your chances that it won’t sell. If it doesn’t sell, you’ll simply need to re-list it. eBay now offers a middle ground. You can open your auction to “Make an Offer.” The buyer can make an offer on your item, and if you accept it the sale is final. If you counter the offer and the buyer accepts, you’re locked in – you can’t haggle further or wait for a better bid. There can be disadvantages to the peer-to-peer barter and sale sites. They have become widely-targeted by criminals who try to scam unsuspecting buyers and sellers out of their money and stuff. Once, I listed a MacBook on eBay and received a full price purchase through PayPal. Then I received an email asking me to ship the item somewhere other than the approved PayPal address – the person gave me a long story about it being a gift, and they were out of town. I declined, stating that I’d only ship to the confirmed PayPal shipping address. I never heard from the “buyer” again, and the funds sat in my account for two months until they were eventually charged back as fraudulent. Turned out the “buyer” had used a stolen credit card. If I had shipped my MacBook to the scheister it would have been pretty terrible. Best practice is to check the buyer’s history. Look for positive reviews from sellers who confirm the buyer made good on their end of the purchase. Read the site’s best practices tips, and don’t accept weird forms of payment or get involved with bank transfers. Most of all, if it sounds weird or fishy, just say no. Don’t get lured in by a promise of a quick, full-price offer because it won’t do you any good if you never get the money. Mark: Hey, welcome back! It is Good Day Sacramento. Nerds on Call’s Ryan is here to help you buy or sell stuff online. Mark: Don’t be afraid, you’re saying. Ryan: There’s three different ways you can sell things online depending upon your comfort level of ease versus risk. Mark: Let’s walk you through it starting with the obvious. Ryan: So, the easy one is to go to a third party website like Gazelle.com. This one makes it super easy. You decide what you want to sell, you put it in their search engine, they’ll make you an offer. Mark: They take care of everything? Ryan: Yeah. You throw it in a box, you send it off, they send you a check. Everything’s good to go. Mark: Now, what about Craigslist? I’ve had good and bad results on Craigslist, both buying and selling. Ryan: Craigslist is kind of cool, because you’re dealing with local people, so you’re not likely to have somebody scam you for your credit card and run off with your stuff. Ryan: But, you do have to meet them someplace. Obviously, we’ve heard those horror stories in the news about that. So, go someplace like a Starbucks, or something like that, but, not a Walmart parking lot. Man #1: You don’t want them to come to your house. Ryan: No, you don’t want them to come to your house. Don’t come to your office. Just go someplace neutral and public. Mark: I went to sell a couch on Craigslist. The people are still in my home to this day. Can’t get rid of them. Ryan: The best part about Craigslist, though, is that you can get top dollar for your item because everybody who’s dealing with each other knows they’re not going to get scammed. They’re going to see somebody. You can get better prices for things. You just do a quick search on Craigslist, see what your item is going for and see if that’s worth it. Mark: Like you said, it’s local. So, if we want to open up to the whole world, you’re probably going to go with eBay. Ryan: eBay, yes. Now eBay, you’re going to open yourself up to the whole world including some more scammers. This is going to be a little riskier transaction. You’re going to have to be a little more careful and be a little bit more suspicious about the people that are bidding on your stuff, but you can sell it worldwide. You can get top dollar, especially if you are selling to places like China, where electronics are a little harder to come by in terms of like the iPhone. Mark:The only bad results I’ve ever had with eBay is when I’ve made an impulse buy and didn’t check the seller ratings. If they’ve only sold 10 or 15 items, you want to stay away from them. Ryan: Let’s say you do decide you want to sell your iPhone 5s. The first thing you want to do is find out what your price is that you’re going to get for it. Go to eBay and search completed listings to determine what it’s been selling for recently. Or, you can go to a cool place like CheckAFlip.com, type in what you want to sell. It will tell you all the completed eBay listings over the last few weeks. Mark: Also, you showed me this new website that I love that evaluates your product to make sure everybody’s getting the right thing. Ryan: Yes. You can go to WorthMonkey.com. Here they will give you a cool, graphical interface, tell you exactly what your item is worth. Plus you can embed this in your listing if you decide to sell it. That way, other people can see that you’re selling something at a fair price. Let’s say you want to create your listing and you’re not sure what to do. Just go find a listing you already like and rip it off by clicking sell now. eBay will create the exact same listing for you and then you don’t have to do any of the work. Man #1: eBay has gotten remarkably user friendly when there are similar items that you can check from. There are images you can borrow from. . .
Ryan: Then, lastly, you just want to decide how you want to sell. If you want to do an auction, you’re going to be a little bit more risky. You might sell below market value if you go to an auction, or you can choose something like this, Buy It Now, where you set your solid price. Then, the person will come by and decide if they want to buy it for that. Or use their new feature which is Make An Offer. So they can say I don’t want to spend $380 but I will spend $300 for it. The only thing is if you do the make an offer and you counteroffer them back, that’s solid. There’s no more negotiating. They can accept your counteroffer and then, it’s gone. Mark:Ryan, you and I talked about this off the air. It’s something you should probably keep in mind. Anytime a buyer or seller starts trying to communicate with you off the grid and says “email me under the table” or “pay me under the table,” it’s bad news. Ryan: I sold a 17 inch Macbook for $1200. Somebody tried to scam me. They wanted me to ship it someplace else that wasn’t in their normal listings. They paid me. I got $1200 and it sat in my account for three months. Then, finally, I got charged back by the credit card account because it was a fraudulent charge. Ryan: So be careful! If you’re going to ship something to somebody, make sure it’s their verified address. Don’t just ship it to anybody because it seems like a good, easy transaction. Mark: Nerds on Call, we’ll link those tips to Good Day Sacramento.com. Ryan, what are we talking about next hour? Ryan: Next hour, we’re going to be talking about a day in the life of the hacker. We’re going to follow a hacker and trail as he’s hacking somebody’s accountand we can see what happens, how he got caught and all that other good stuff. Woman: Thanks guys! Coming up new at eight, Hair Wars is . . .